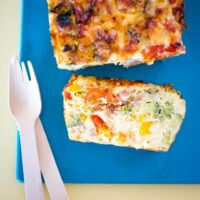 When it comes to lunchboxes, it is tricky to get enough veggies into the kids. 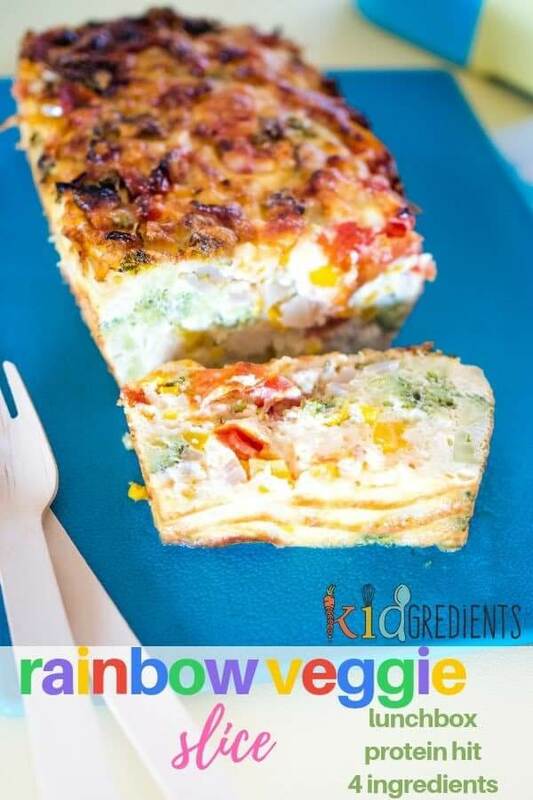 This rainbow veggie slice is designed to help with that! It’s also gluten free! There are only so many veggies we can cram into dinner time. Trust me: I’ve tried. 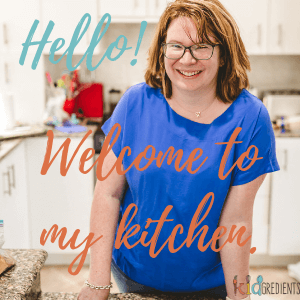 You need to try and space your veggie offerings out across the day so as to get more into the kids and make dinnertime less stressful. 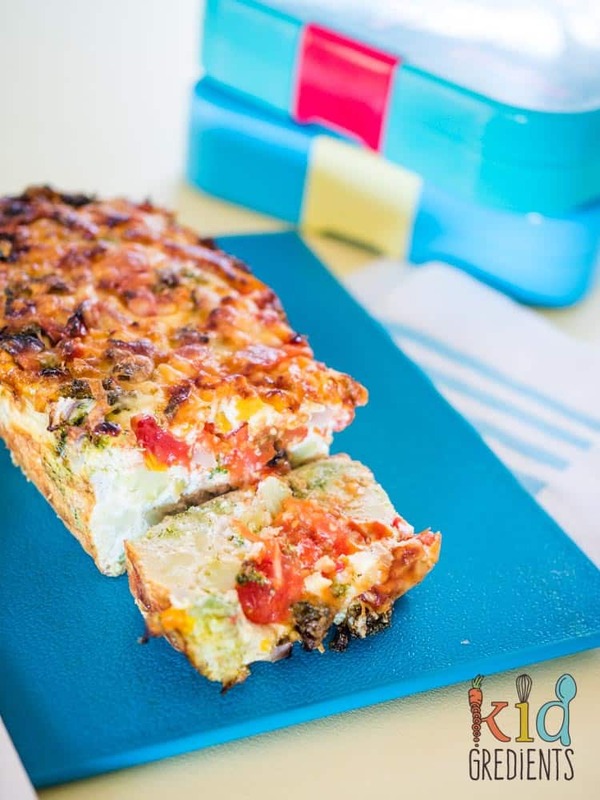 The best thing about something like this rainbow veggie slice is that it involves no precooking of the veggies and it is quick and easy to make. I do it in a loaf pan because I like the way it slices. The shape is also fabulous for lunches. 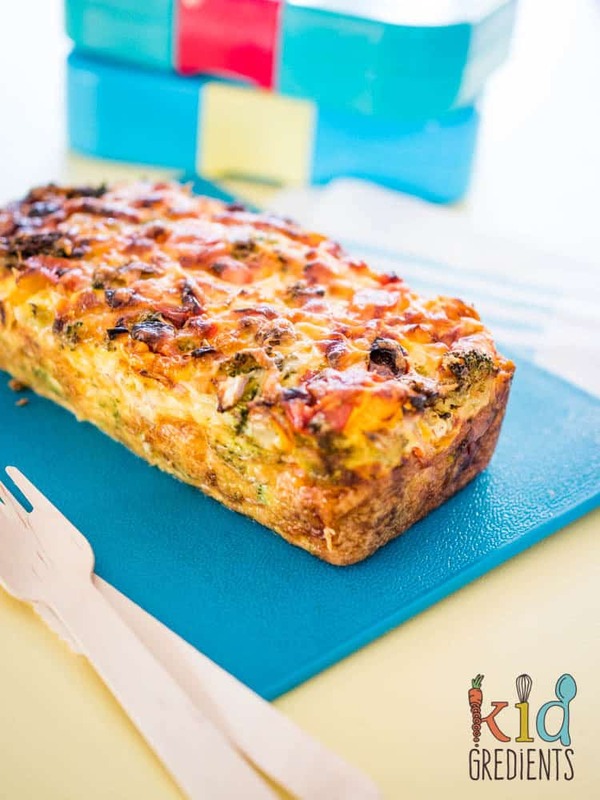 This is a make and freeze kind of recipe, you won’t be eating it all at once, so why not slice it up and freeze to make lunches easier another day? It’s all about making things easier! And it’s absolutely packed with our favourite veggies. You can mix them up a bit, swap them out for others that you love, or make it as is. Just try to keep the volume of veggies the same. If you want to reheat this for breakfast or dinner, it’s perfect for that (just think, if you have it for breakfast you’ve basically ticked all your veggie goals for the day already!)! I like to do slices in the sandwich press. It’s also awesome cold for a picnic! 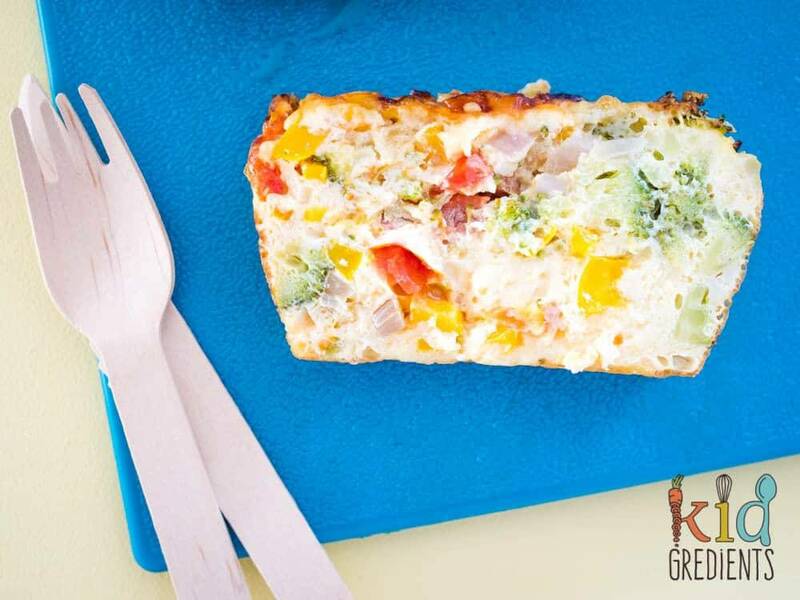 It’s an amazing way to clear out the fridge of any veggies that are getting a little sad and create something yummy at the same time. 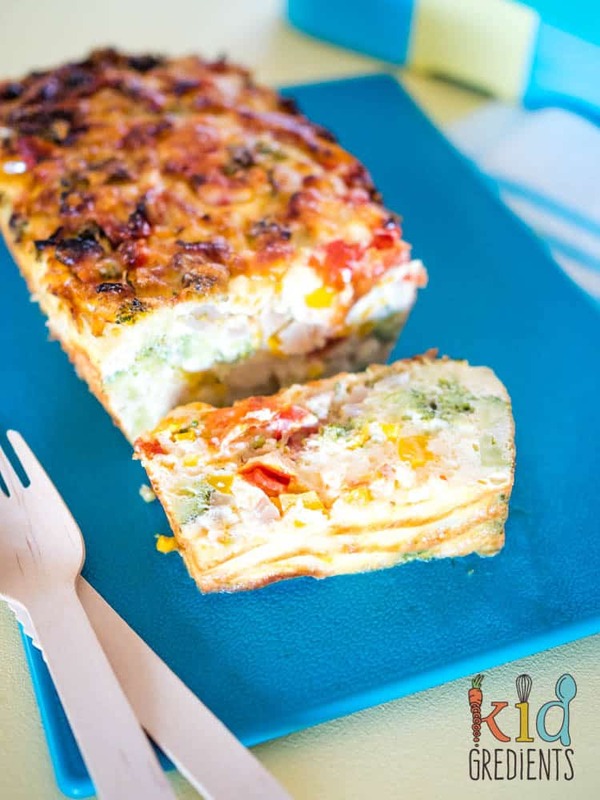 You can also experiment with different cheese- I’ve used cheddar, but fetta has happened before and is super yummy. 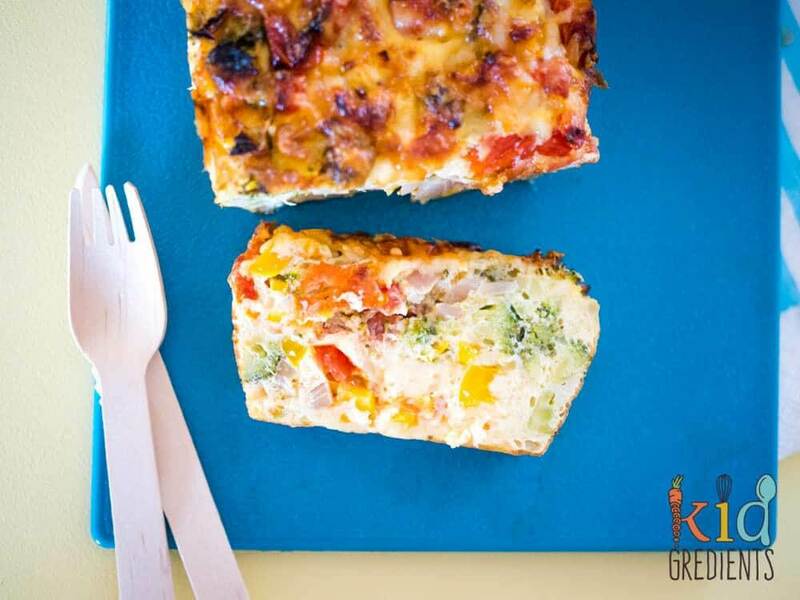 or these awesome eggy quinoa cups that are perfect for grab and go breakfasts. 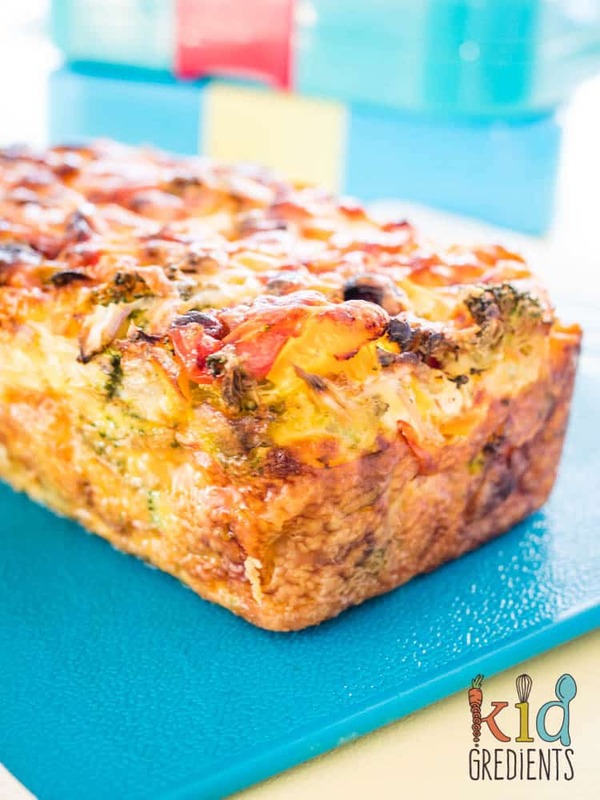 So grab your loaf pan, crank up your oven and cook this beauty this evening! Whisk the eggs until well whisked, by hand. 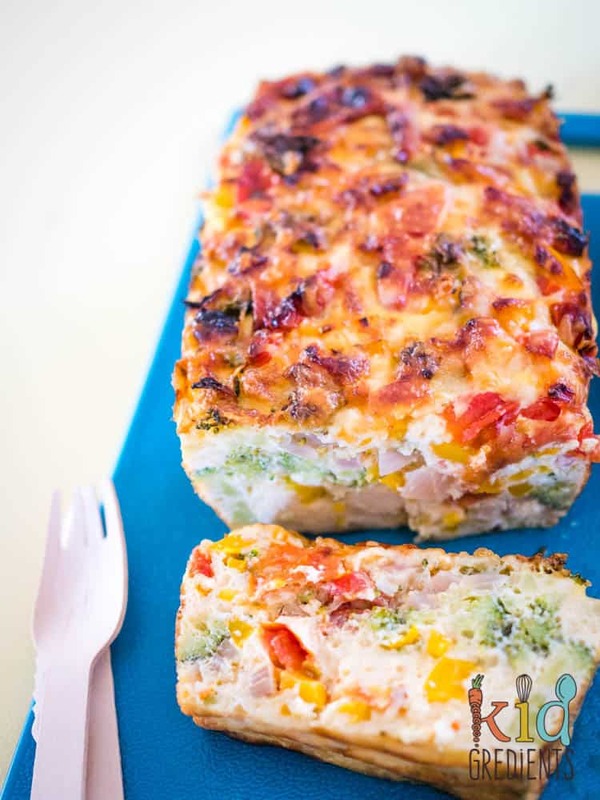 Combine all the chopped veggies and cheese into a loaf pan and mix together. Pour the egg mix over the top. Bake at 200 degrees for 35 minutes. Cool in the pan for 10 minutes before transferring to a plate. Could I cook this in a pressure cooker, and just brown it off under the grill? I guess you could, I’ve never tried it in the pressure cooker! But let me know how it goes! I actually use a silicone pan, if you’re using a normal pan, greasing it would be a great idea, or even lining it with baking paper. Just want to know if you cut the cherrie tomatoes in half and can you just steam broccoli for a few seconds? I don’t steam the broccoli, as it cooks to the point we like in the slice- still slightly crunchy. Looks great! What’s the best way to defrost and reheat it?